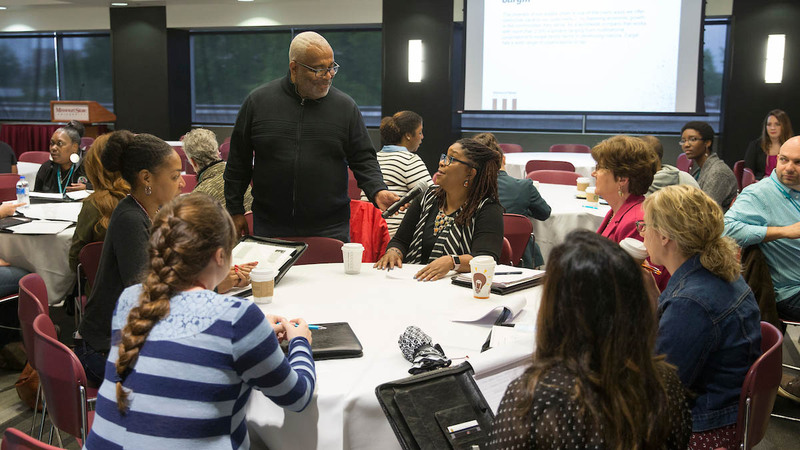 Gain insight, resources and knowledge at this year’s Collaborative Diversity Conference. Divisiveness. Polarization. Hostility. These are some of the things the 2018 Collaborative Diversity Conference (CDC) at Missouri State University is trying to prevent. How will that be done? This year’s conference will focus on inclusive excellence. The CDC is April 25-27. April 25 is a pre-conference day featuring an all-day interactive workshop on understanding and facing racism together. It concludes with a networking event at QEnoteca, 308 W. Commercial St. Shaun Munday, a local artist, will perform. Registration is open until April 26 and general registration costs $250. The pre-conference day is an additional $100. April 28 is a free conference day open to Missouri State students. Facing racism in 2018 and beyond: A changing dynamic is this year’s CDC theme. “We recognized that over the past couple of years at least there’s been more emphasis on what divides us as a nation as opposed to what we all have in common,” said Wes Pratt, MSU assistant to the president and chief diversity officer. “We felt in light of these challenges, the apprehension, the angst that’s been generated, we would identify what some of those issues are and try to find solutions to address them,” Pratt added. Through presentations, sessions and workshops, the conference will promote inclusion. It will address the rising anti-immigrant and LGBTQ+ rhetoric, discrimination against diverse religions and the resurgence of racism. The CDC features topics that affect all of Missouri, such as the NAACP travel ban, the Missouri school to prison pipeline, the #MeToo movement, implicit bias and hate speech. Dr. Damon A. Williams, a professor in residence and creator of the “Inclusive Excellence Tour,” will be the plenary speaker. Williams will present at several forums during the conference. He will also meet with local business, corporate and community leaders, as well as administration and academic leadership at the university. He will speak about the value of inclusive excellence and how it empowers leaders and promotes the value of the inclusion of diversity. He will also be available for a conversation with President Clif Smart and Pratt on April 27th.